Virginia Satir, an internationally renowned educator and master therapist and a pioneer in the field of family therapy, altered the way therapists are taught and patients are treated. This landmark volume focuses on the important contributions that she made to the therapy profession. Written and edited by therapists who trained and worked closely with her, Virginia Satir: Foundational Ideas reflects her most basic ideas about the healing quality of respect for all people and the emphasis on the personal aspects of treatment rather than the technical. It also addresses the necessity of emotional honesty between the therapist and the patient and illustrates these therapists’impact on therapy as it is practiced today. 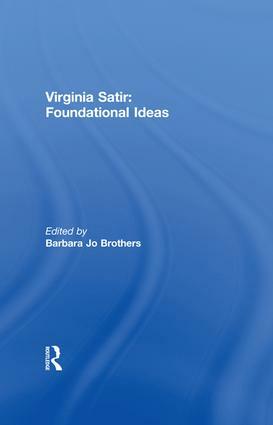 Virginia Satir: Foundational Ideas is a sharp, clear focus on the person and work of this great master. It is necessary reading for all professionals around the world who seek to better understand the therapy process and the keys to its success.